PLEASE SCROLL DOWN TO THE BOTTOM OF THIS PAGE TO SEE THE SOLUTION TO THE SIXTH CHALLENGE! As you know, until now the challenges work in the following way: The two ViA Ambassadors sent challenges to all three classes, normally with three options to choose from. The three classes researched those options and then tried their best to persuade Matt and Valentina to do what they wanted (as individuals, groups or entire classes). The two travelers then documented what happened and posted their impressions on social media and sent the classes video messages with the results. For the sixth and final challenge of the school year we have a special format: This time the ViA Ambassadors, Valentina and Matt, won’t be facing the challenge alone, but instead with the two Austrian partner classes, the 1HTA in Bergheidengasse (Vienna) and the 4B in Retz (Lower Austria)! Each will develop one option for the challenge. But who will then decide which of the three options will be carried out? Answer: The partner school on the other side of the pond – Harrison Preparatory Academy, our partner school in Lakewood (WA). What are the guidelines for creating an option? In order to review the challenges/topics that have been covered in the course of the school year so far, all three options for this challenge should integrate or include aspects of one or more topics from previous challenges. Think for example on the first and fourth challenges (mobility and waste, respectively). An option could be to investigate garbage and waste management in Austria and take the train to meet with experts from Vienna’s department dealing with waste (MA48) and visit the incinerator in Vienna. Another option could be based on the second challenge (agriculture) and include visiting an organic farm and tasting strawberries. The possibilities are limitless so get creative! * Each option should be based on one or more of the previous challenges, as mentioned in the ‘introduction’ to this challenge. Matt and Valentina will come up with their option while crossing the Atlantic Ocean on the Rita Schepers. At the same time the classes in Retz and Vienna will work on their options. This means that around the end of May all three options will be online! Students at Harrison Preparatory will then decide which of the three options should be carried out, providing the ViA Ambassadors and the Austrian classes with their answer by Friday, June 6th. On June 18th, Valentina and Matt, the 1HTA and the 4B will carry out the challenge! Who will succeed in persuading Harrison Preparatory Academy to choose their option? When you present your class’s option for students at Harrison Preparatory Academy to choose from, remember to cover the three core dimensions of sustainability: environmental, social and economic sustainability. And don’t forget to read the ‘Useful information and links’ section below! 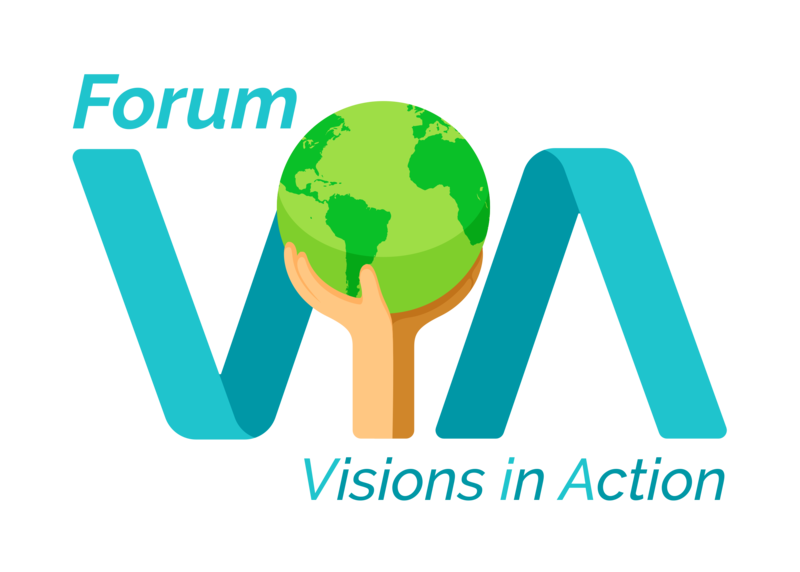 We were awarded 500 EUR for our second challenge as part of the Ideas Competition “Teaching for a Sustainable Future” (“Nachhaltig Zukunft lehren”). That is the extent of our budget for the field trip! Keep that in mind when planning your options. Good news: the students in Retz can ride the train (OEBB) for free! We look forward to seeing what Vienna and Retz come up with, what Lakewood decides and carrying out the challenge with our partner classes in Austria in June! The 4B class in Retz, Austria, building off of sustainable transportation (Challenge #1, From Portland (Oregon) to San Francisco (California)!) and sustainable tourism (Challenge #5, In Search of Ecotourism), would like to visit the Thayatal National Park and learn more about sustainability in the region. The national park is located along the Thaya River in Austria and the Czech Republic. The 1HTA in Vienna, Austria, building off of sustainable transportation (Challenge #1, From Portland (Oregon) to San Francisco (California)!) 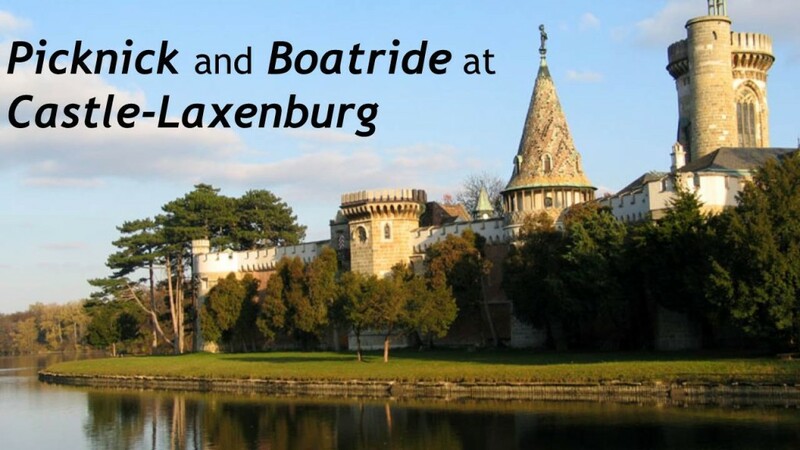 and sustainable tourism (Challenge #5, In Search of Ecotourism), would like to have a picnic at Castle Laxenburg and go on a boat ride with electrically-powered boats on the lake. Click on the following picture to learn more! Valentina and Matt, building off of sustainable transportation (Challenge #1, From Portland (Oregon) to San Francisco (California)!) 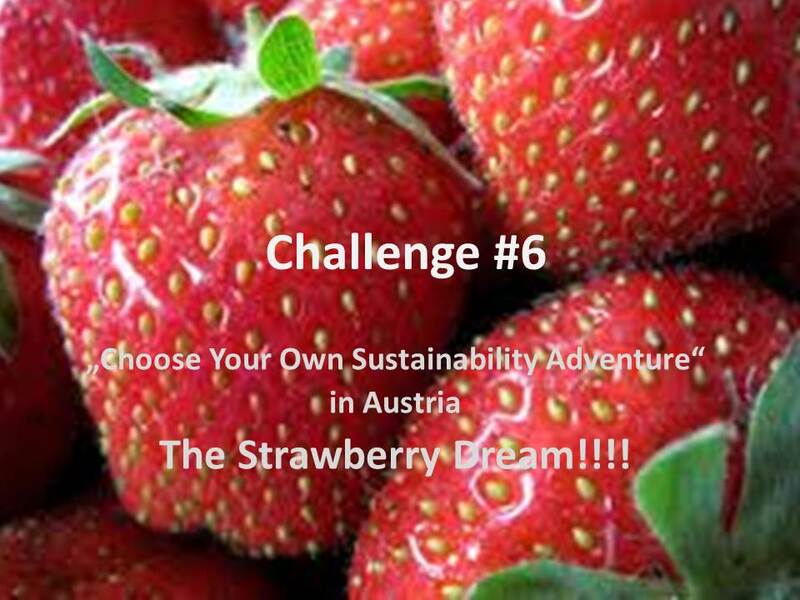 and sustainable agriculture (Challenge #2, Strawberry Dream or Strawberry Nightmare? ), would like to visit an organic strawberry farm near Vienna, eat fresh strawberries with fair-trade chocolate, and learn more about community-supported agriculture in Austria and the world. The Sustainability Adventure has made it back to Austria! Last week we visited our Austrian partner classes in Retz and Vienna and went on a field trip with them to the park at Laxenburg Castle outside Vienna (our partner school in Lakewood, WA chose to send us there as part of the 6th and final challenge of the school year). Besides having the chance to meet each other in person for the first time, the students also learned more about Fair Trade chocolate and the European “Make Chocolate Fair” campaign (www.makechocolatefair.org). It was great to wrap up the successful first year of the project Choose Your Own Sustainability Adventure (www.sustainability-adventure.org) with our Austrian partner classes and a celebratory picnic, including some Austrian Fair Trade and organic chocolate from Zotter (www.zotter.at)!